The Oceanography (OCE) graduate program has a diverse set of faculty, staff, and students who examine ocean processes in broad fields of physical, biological, chemical, and geological oceanography and geophysics Basic and applied research of an experimental, numerical, and analytical nature is conducted in oceanic settings that range from shallow nearshore and estuarine waters to the deep ocean and span all ocean basins on earth including the Arctic. OCE offers programs leading to M.Sc. and Ph.D. degrees. These interdisciplinary programs prepare students for professional careers in ocean-relate fields. In addition, students can also pursue an ocean mapping option within the Department of Earth Sciences and carried out within the Center for Coastal and Ocean Mapping. The oceanography graduate program within the Department of Earth Sciences and the School of Marine Science and Ocean Engineering (SMSOE) is enhanced by the ocean engineering and marine biology graduate programs, and by other departments and institutes at UNH, including the civil and mechanical engineering and biology departments; the Institute for the Study of Earth, Oceans, and Space (EOS); the Center for Coastal and Ocean Mapping (CCOM); and the Ocean Processes Laboratory (OPAL). Other related programs include the N.H. Sea Grant Program, the Center for Collaborative Science, and the Atlantic Marine Aquaculture Center, Coastal Response Research Center (CRRC), Northeast Consortium (NEC), and the Piscataqua Region Estuaries Partnership (PREP). Oceanographic laboratories at UNH include the Shoals Marine Laboratory (SML) on Appledore Island, the Coastal Marine Laboratory (CML) in Newcastle, the Jackson Estuarine Laboratory (JEL) at Adams Point on the Great Bay, and the Chase Ocean Engineering Laboratory (COEL) on the main UNH campus. Additional laboratories for the oceanography faculty are located on campus in James, Morse, Rudman, and Spaulding Halls. The SMSOE operates a marine support facility and two UNH research vessels moored in Portsmouth Harbor at the UNH pier, the R/V Gulf Challenger and the R/V Gulf Surveyor, as well as a number of small boats. 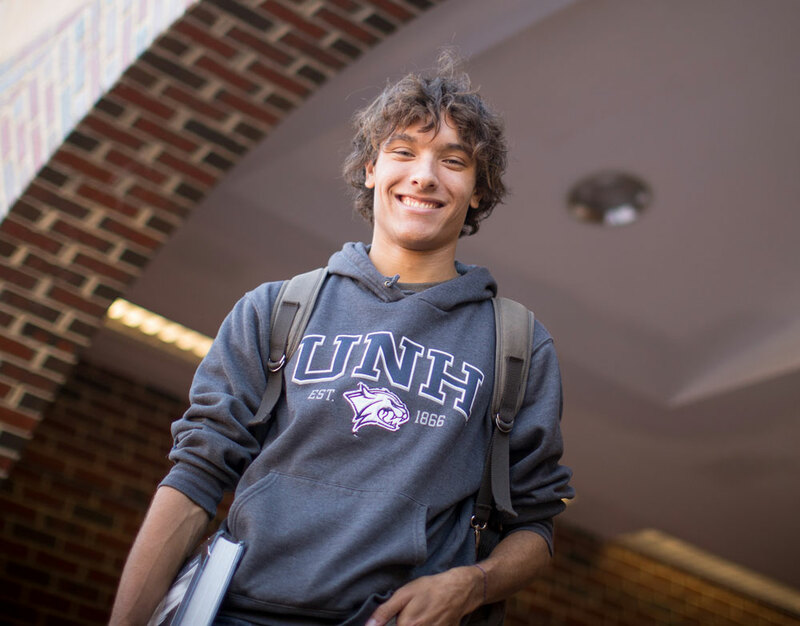 The SMSOE also supports the UNH Diving Program and oversees a shared­ use Instrumentation Pool for student and faculty use. Students plan a program of study in conjunction with a faculty guidance committee (FGC). Students entering the program without a master's degree are expected to complete a minimum of 36 credit hours. Students with an M.S. 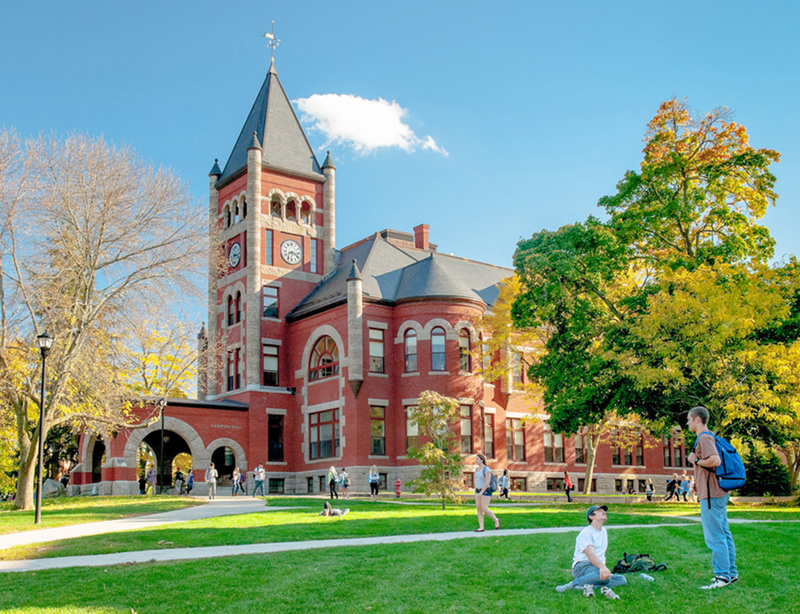 degree in oceanography or related field in physical science from UNH or another university should first demonstrate (through accredited transcript or the qualifying examination) acceptable mastery in the basic core areas. Those deficient in any discipline will be required to complete the respective course. All students must complete at least one course from each of the following categories: natural sciences, methods, ethics/policy/law, and seminar. Please see below for a list of courses that meet these specifications (other courses may qualify and should be approved by the FGC). Additional credit hours are determined by the FGC (typically 15 credit hours). Foreign language requirement is determined by the FGC. Students must complete a Coursework Approval Form, which summarizes all courses to be taken, and obtain signatures from their adviser, committee members, and the OCE program coordinator once the coursework is completed. Students wishing to be admitted to doctoral candidacy will undergo a qualifying examination by the guidance committee designed to test the student’s in-depth knowledge in their major field and their ability to conduct independent and original research in oceanography. Qualifying students will present to the guidance committee a research proposal in which the soundness, originality, and feasibility of the investigation are clearly stated, and which when approved based on a proposal examination by the committee, will form the basis for the doctoral dissertation. Students are advanced to candidacy after successfully completing the comprehensive exam, proposal exam, and all coursework required by the guidance committee. Students must complete a dissertation, present their results at a public seminar, and pass an oral examination by the thesis committee. Although not a strict requirement, all graduate students are encouraged to obtain teaching experience, preferably as a teaching assistant. All students are required to spend time in the field, even if their research project and interests are primarily based on analytical research, modeling studies, or laboratory experiments. The field requirement could include extended time at sea onboard one of the UNH, UNOLS, NOAA, or similar oceanographic research vessels, or include field experiments at locations in New Hampshire, the U.S., or around the globe, and includes possible nearshore and estuarine studies, Antarctic expeditions, or other land­-based studies related to oceanography. Successful completion of the field requirement will be determined by the guidance committee.